By buying this product you can collect up to 21 loyalty points. Your cart will total 21 points that can be converted into a voucher of 6,30 €.
" 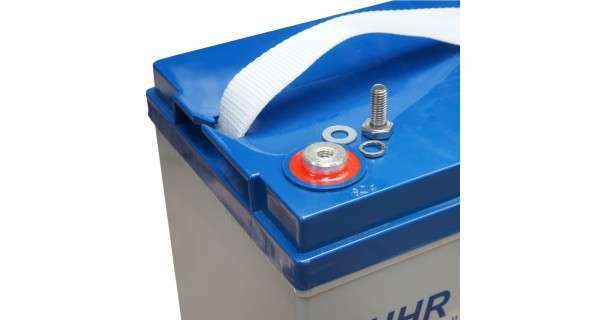 AGM Battery 12V 100Ah "
This new type of sealed battery uses "absorbed glass mat batteries" technology. This technology uses a thin sheet of boron-silicate fiber between the lead plates in the battery .This thin sheet is soaked with electrolyte (70% water and 30% acid). They are maintenance free, weatherproof. No gas release, shock resistant. 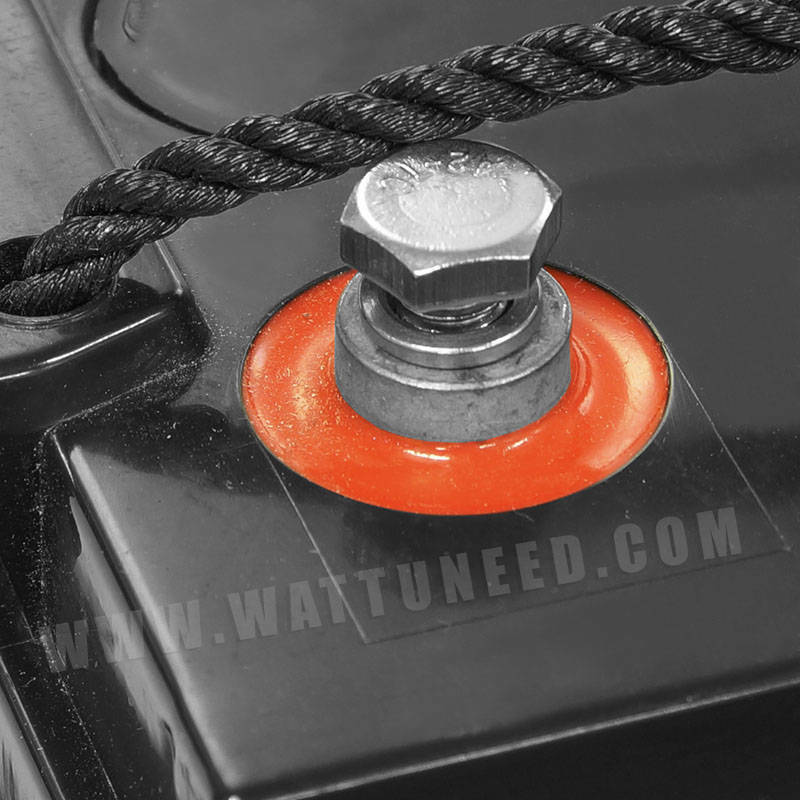 Low self-discharge : 1 to 3% per month (unlike a normal lead acid battery which is discharged very quickly if not used sometimes). Life is increased therefore the purchase price is profitable over time, not to mention the performance gain. 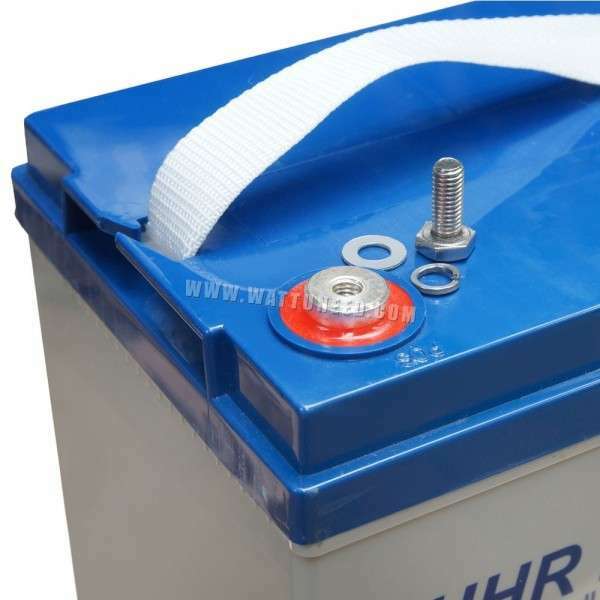 As the electrolyte is soaked into the fiber it can not sink even in case of breakage of the battery box, thus even the transport is much easier and safe. With no liquid, GM foods are not very sensitive to the damaging effects of frost. For solar applications, the AGM are ideal : no maintenace, no gas release, conventional loading rates which then allows to use any standard charging system, minimum maintenance during the winter. pas de problème, conforme à ce qui est écrit sur le site ! Très satisfait pour le moment, à voir sur la durée. Je crois qu'elles peuvent assurer 2 lessives à 30° et 1 lave vaisselle sans soleil. Bon?